NORTH CAROLINA -- An Elm City dog breeder was charged with seven felony counts of animal cruelty on Tuesday, according to the Wilson County Sheriff's Office. 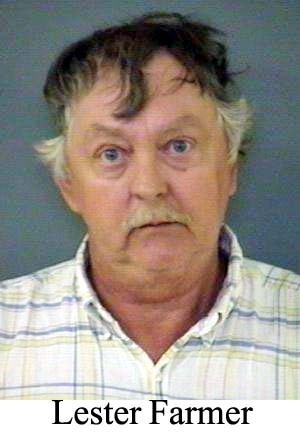 Lester Farmer, 54, of 6612 Bridgersville Road, was charged with one count for each dog seized from his home. The seven Shih-Tzu dogs were bald, infected and diseased. Officials said they could barely recognize the breed of each dog due to its condition. Wilson County Animal Enforcement officers seized the dogs and transported them to For the Love of Dogs, a non-profit shelter and clinic, at 5146 Quaker Road in Wilson. “This is one of the worst groups I've ever had the opportunity to help,” said Max Fitzgerald, who operates the shelter. The shelter is trying to nurse the dogs back to health. 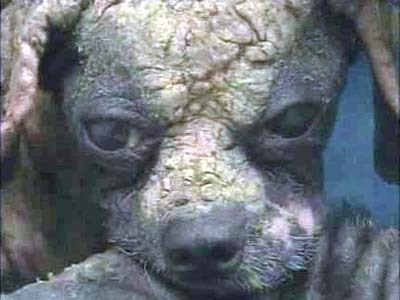 All have severe mange, likely caused by months of neglect in a poor environment, according to veterinarians. “These dogs were in some of the worst shape we've seen,” Fitzgerald said. National Shih-Tzu groups are working with Fitzgerald’s shelter to take and eventually find adoptive homes for the dogs. Farmer is being held under a $10,500 bond. He was scheduled for a court appearance Friday. Maj. Mickey Wilson, with the Wilson County Sheriff's Office Animal Enforcement Unit, said Farmer used to breed the dogs. “The main thing is, he wasn't getting them medical treatment.... When I asked him why, he said he's trying to treat them some, but he just couldn't afford it,” Wilson said. Fitzgerald and others said that until recently, similar cases of animal abuse were often brushed aside. The Sheriff's Office took over animal control in 2007 after numerous complaints, including the handling of a case involving under-nourished hound dogs. In about a year and a half, officers have investigated close to 30 animal cruelty cases. “We take these cases very seriously. We've made a lot of felony arrests,” Wilson said. Also, Fitzgerald’s shelter has significantly increased adoptions. “It's a totally new day, and it’s fabulous,” Fitzgerald said. Workers caring for the seized Shih-Tzus believe more aggressive enforcement of animal cruelty saved their lives. The dogs will take months to fully recover. CALIFORNIA -- A 40-year-old Canyon Country woman was bitten by two pit bull dogs this morning in the 17700 block of Scherzinger Lane in Canyon Country. The woman was walking her Chihuahua when the two dogs jumped over a fence from their yard and came towards her and her dog. Concerned about the safety of her small dog, she picked him up and attempted to protect him. When she did, both pit bulls jumped up on her, biting her in the hand and neck area. Deputies quickly responded and located the dogs, which were controlled by their owner and turned over to the Los Angeles County Department of Animal Care and Control. The woman was transported to a local area hospital where she was treated and released. Her injuries consisted of a fractured finger and puncture wounds to her hand and neck. The Chihuahua was also bitten and is being treated at a local dog hospital for non-life threatening injuries. The dog owner was cited by Animal Control. ILLINOIS -- A 72-year-old Berwyn man is accused of capturing wild squirrels in his backyard and leaving them to die, police said. Berwyn police Monday confiscated two animal traps from the man, who lives in the 7000 block of West 29th Street. He was issued a ticket for breaking a city ordinance that prohibits keeping wild animals and cruelty to animals, authorities said. A woman who had been finding dead squirrels around her home and on her street suspected it was her neighbor killing them and called authorities, according to a police report. She told police the man trapped the animals and left them to die without food or water, the report said. The man is scheduled to appear in local ordinance court in the western suburb on Aug. 14. MONTANA -- A West Yellowstone man pled guilty Monday to two counts of misdemeanor animal cruelty as part of an agreement that will see a felony animal cruelty charge against him dropped. John T. Hessert (aka JT Hessert), 24, faced the charges after an animal cruelty investigation turned up 33 Alaskan husky sled dogs suffering ailments ranging from frost bite and malnutrition to cracked feet and infection. The dogs were taken in by volunteers and nursed back to health, but the case caused much controversy among animal-lovers over the fate of the dogs. Note: The unregistered hybridized Alaskan Husky is preferred for dogsled racing. It is primarily used for working purposes, unlike the Siberian Husky which is used for both show and working purposes. Hessert appeared before District Judge Holly Brown in a vest embroidered with an Iditarod logo to offer in plea over neglecting the dogs. His lawyer, Chuck Watson, told Brown that Hessert felt remorse for the suffering he caused to his dogs and that Hessert's aspirations to be a professional musher have already been compromised. Chuck Watson needs to shut up and just collect his paycheck. He did his job and got a very reasonable plea agreement for his client. There's no reason to continue to lie and say he feels badly about having abused these dogs. No one believes him. According to the plea agreement, Hessert must pay $27,855 in restitution to volunteers who cared for the dogs while the case was being investigated. He must also serve 100 hours of community service, two days in the Gallatin County Detention Center and two years of probation. Last, he is not allowed to own or be in control of a dog for two years. Hessert's case caused a lot of publicity as prosecutors, volunteers and Hessert debated the fate of the dogs. Three of the volunteers who initially helped care for the dogs attended the hearing Monday. Terry Cunningham, one of the volunteers, said he did not disagree with the plea agreement, but said the state showed mercy to Hessert. Cunningham said he and other volunteers cared for the dogs at a facility daily for five weeks. During the hearing, Gallatin County Prosecutor Eric Kitzmiller said that although feelings were mixed about the plea agreement among volunteers and mushers, the agreement was the best solution. In addressing Hessert, Brown offered him both sympathy and reprimand. 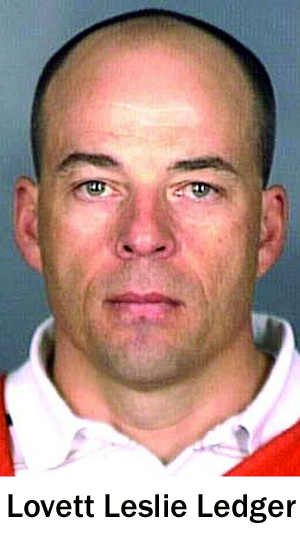 Texas: FBI Agent Lovett Leslie Ledger Jr. accused of killing his neighbor's Chihuahua "Sassy"
TEXAS --Local FBI agent Lovett Leslie Ledger was indicted by the McLennan County grand jury this morning on a cruelty to animals charge, a state jail felony, in the killing of a Chihuahua in his neighborhood. Ledger, 39, allegedly shot the dog, named Sassy, with a pump pellet gun in front of his home near Lorena on Feb. 29. If convicted of a state jail felony, Ledger faces 180 days to two years in a state jail and a fine of up to $10,000. Five witnesses testified before the grand jury, including Ledger and his wife, Jacqueline. Les Ledger testified for about 25 minutes; his wife for 10. Grand jurors also heard from the dog’s owner, Jason Davis, and McLennan County Sheriff’s Lt. Clay Perry. Ledger’s attorney, Rob Swanton, declined to comment after hearing of the indictment. Prosecutor Crawford Long also declined comment. In a previous story in the Tribune-Herald, a neighbor who said she was home the afternoon of the incident said she heard her dogs barking and went outside to see Sassy walking on Estes Road. The dog lurched to one side upon being shot, then rolled into a yard, where she died, the neighbor said. The neighbor also said she saw Ledger lower the pellet gun and walk inside his home with one of his children. A group of people gathered around the dog, and the neighbor said she could see a hole in Sassy’s neck above her pink rhinestone collar. Ledger told witnesses that he shot dog with BB gun and must have pumped it too many times. When asked if he shot the dog, Ledger told two people involved in the investigation that he knew nothing. He later said he did in fact shoot the dog. The FBI has confirmed to News Channel 25 on Thursday night that one of it's agents based in Waco was being investigated by the McLennan County Sheriff's Office on possible animal cruelty charges. FBI Agent Erik Vasys says that agency is cooperating fully with sheriff's investigators. 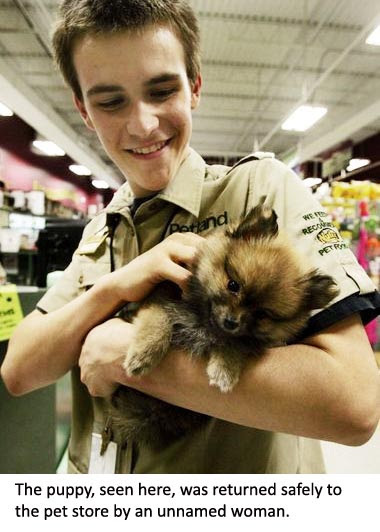 ILLINOIS -- A Plainfield man who stole a $1,500 Pomeranian puppy and who blew marijuana smoke into its face until it passed out was sentenced Wednesday to 60 days in the DuPage County Jail. Emanuel Lopez was one of three people charged with the ill-conceived caper in which they stole a 2-month-old pooch from Petland at 720 N. Route 59 on the city's west side. 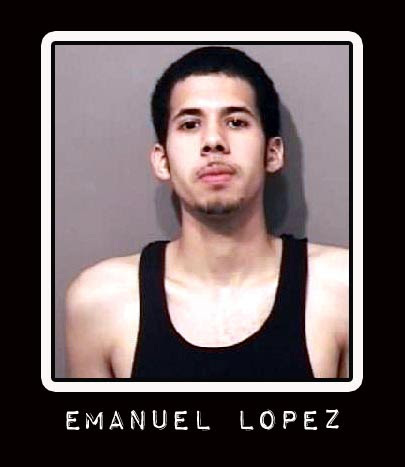 Lopez, 19, of 13539 Rockefeller, Plainfield, pleaded guilty May 27 to felony retail theft. He also admitted repeatedly blowing marijuana smoke in the puppy's face while joyriding with his friends after the March 21 theft. "People who abuse animals are on the lowest rung of humanity," DuPage Circuit Judge John Kinsella told Lopez, who had two prior arrests for theft and retail theft, "Your background is a thief. Is that how you want to be known - Mr. Lopez, the thief?" A 45-year-old woman connected to the trio returned the dog unharmed to the store three days later after seeing media reports about the theft. The store owners later said a local couple quickly bought the playful pooch. Two employees, Anais M. Marquez and Karlie A. Pellock, both 19 of Plainfield, were charged with misdemeanor retail theft. Prosecutor Mary K. Cronin said they prodded Lopez to steal the dog and then sell it back to them for $60 so they could keep him. Both employees were in the store working when the puppy was taken. "One of the employees distracted the manager and the other made sure the coast was clear," Cronin said. Lopez stuffed the 2-pound puppy under his sweatshirt and walked out of the store, she said. Naperville Police Detective Richard Arsenault testified Wednesday that after stealing the dog, Lopez and some friends drove around the area, "blowing marijuana smoke in the dog's face until it passed out." Lopez told Kinsella that "the dog didn't pass out right away; he passed out later." "Is there a difference?" Kinsella asked. In seeking the 2-month sentence, Cronin noted Lopez - at just 19 - already has two previous theft convictions, for which he received court supervision. Cronin countered claims that Lopez was lured into the theft. "But no one enticed him to abuse the puppy," Cronin said. There's "no excuse for what he did to the puppy." "The bottom rung of humanity abuses animals for their amusement," Kinsella told Lopez. "Anybody who abused animals for their own amusement has a problem." 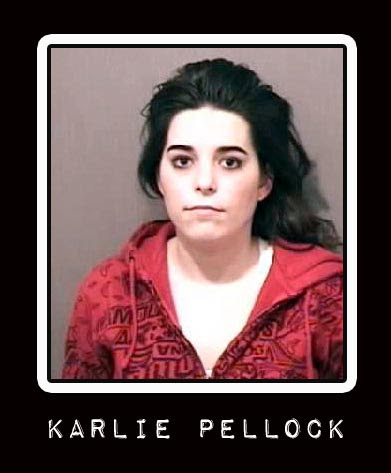 Pellock pleaded guilty May 16 and was ordered to perform 50 hours of community service, pay fines and was placed on 12 months' court supervision. Marquez is due in court July 14. The teens were not charged with felonies because they, unlike Lopez, did not have prior criminal histories. Cronin said Lopez's decision to blow marijuana smoke in the puppy's face didn't help his case. "To do that to an animal for your own amusement is aggravation," the prosecutor said. Lopez faced up to five years in prison. He apologized for stealing the dog, which the teen said he never meant to harm. His attorney, Ricky Holman, a senior DuPage County public defender, argued Lopez is not a bad young man but one who struggles with marijuana dependency and is in need of treatment. As part of his sentence, Lopez must submit to random drug testing and get treatment and counseling. A deputy sheriff took Lopez into immediate custody. He must serve half of the 60-day jail term before being freed. "This kid needed a wake-up call and he got one," Holman said.